In the past few years, Warner Bros. has been very generous when it comes to releasing official San Diego Comic-Con footage. After world premiering special trailers for the audiences in Hall H, they’ve gotten into the habit of immediately posting the same material online for everyone around the world to enjoy. This year was no different, with previews for titles like FANTASTIC BEASTS: THE CRIMES OF GRINDELWALD, THE LEGO MOVIE 2: THE SECOND PART, GODZILLA: KING OF THE MONSTERS, and SHAZAM! But that wasn’t all they had to show. 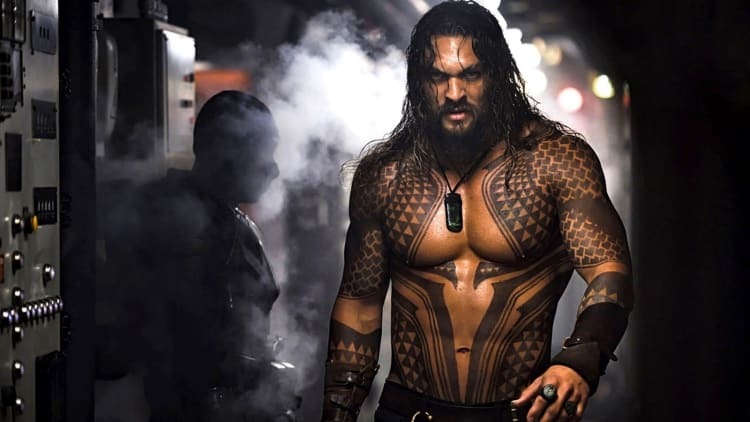 In addition to all of that awesome material, the crowds at the convention center were also given a very special treat in the form of exclusive clips from WONDER WOMAN 1984 and AQUAMAN. This is what we were shown. Warner Bros. saved their upcoming slate of DC Comics movies for the end of their presentation, and they kicked things off with Patty Jenkins’s WONDER WOMAN 1984 — which is only just a few weeks into its multimonth production schedule. Still, the studio was able to show off an extremely colorful and exciting action sequence that showcases the titular heroine taking down two armed criminals in a shopping mall while simultaneously saving a little girl, utilizing not only her super strength and speed, but also her famed Lasso of Truth. It very quickly reminded us of everything we loved about the first WONDER WOMAN last summer and got us extremely excited for what’s going to be hitting theatres in November 2019. 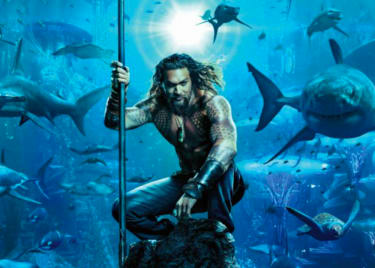 As for James Wan’s AQUAMAN, in addition to the official trailer, Warner Bros. also delivered a special extended reel just for the Hall H crowd. 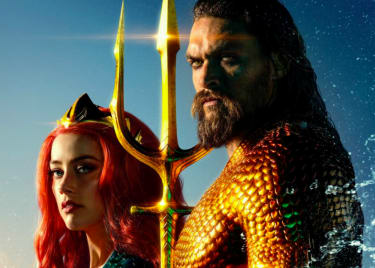 While hiking across the Sahara Desert, Arthur Curry/Aquaman (Jason Momoa) and Mera (Amber Heard) find what looks like an ancient tomb and a special water-powered device. 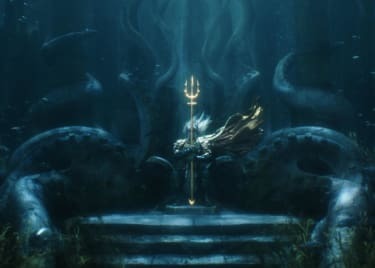 Activating a machine with a specialized key, they are presented a hologram of the legendary King Orin, who informs them that in the right hands his specialized trident can be used to unite the seven undersea kingdoms. 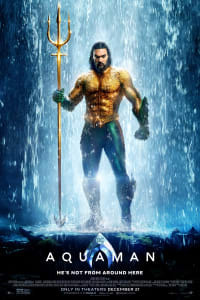 Cut together with scenes showcasing the scale of life beneath the oceans, the footage offered not only an epic sequence featuring Aquaman and Mera doing battle with the villainous Black Manta (Yahya Abdul-Mateen II), but also concluded with a shot of the titular hero in his classic green and orange costume. Sadly, fans will have to wait at least a few months before starting to see any of this footage come out in an official capacity. To tide you over until then, check out the just-released trailer. This sneak peek got us very excited about what’s coming to the big screen in the near future at AMC. Visit our blog often for updates. Jason MomoaPatrick WilsonJames WanActionDC Extended UniverseAquamanWonder WomanWarner Bros.